Wenn ihr weitere Fragen habt, dann einfach posten! Do you have a german page? The .com website is in German for German users. 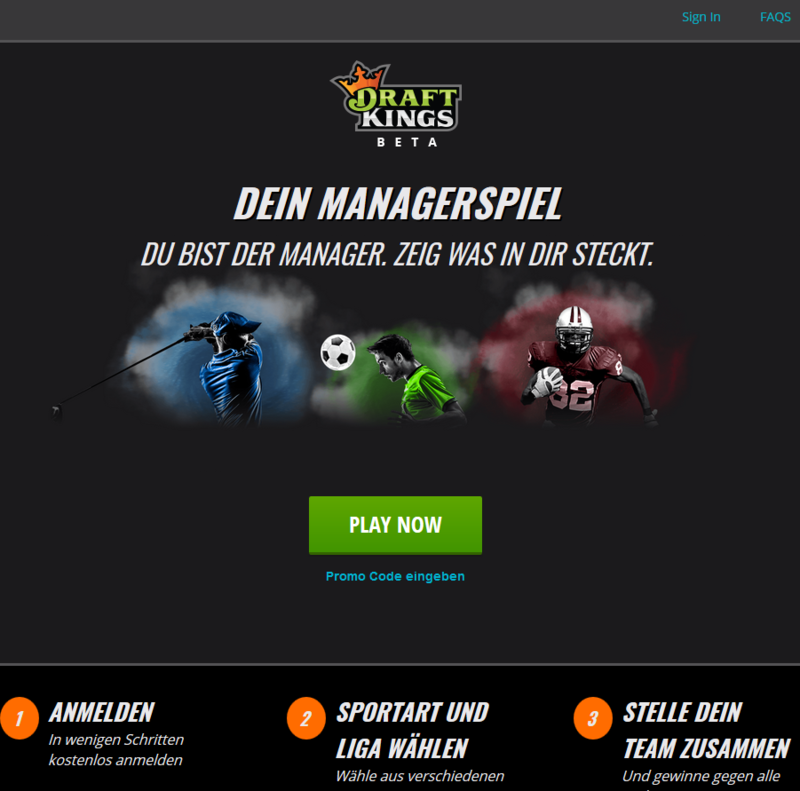 When will be DraftKings translate site and software into German? We are hoping to have this complete in 2018. Will you offer german support? There are some issues that can be handled via email but full support likely won’t be available until later. When will you start advertising in Germany? We are currently running adverstisements in Germany and open to marketing. Is a Bundesliga license possible this year? We will likely not have a Bundesliga license for this year but are looking into it for the future. Will you add more payment options for German players soon? We will be adding Skrill and additional payment options in the coming months. What bonus do you offer in Germany? Requirements? First time depositors receive a free entry into a contest ($3 value) with their first deposit of at least $5. Ich glaube kaum, dass sie VOR der NFL Saison groß Werbung machen. Eher wenn alles startet. Für Fußball werden Sie noch die Bundesliga Lizenz abwarten. Aber auch dies ist nur meinerseits Spekulation. Wir geben euch nur die Antworten auf die Fragen wieder, die oben aufgeführt sind und von DraftKings beantwortet wurden.